From the gowns to the acceptance speeches, Twitter is currently alight with post-Grammy’s gossip and some very understandable gushing over Alicia Keys’ incomparable piano playing talents. However, one famous nominee has managed to deliver one of the shadiest and funniest retweets of the awards ceremony, once again proving himself to be a legend of the social media age. 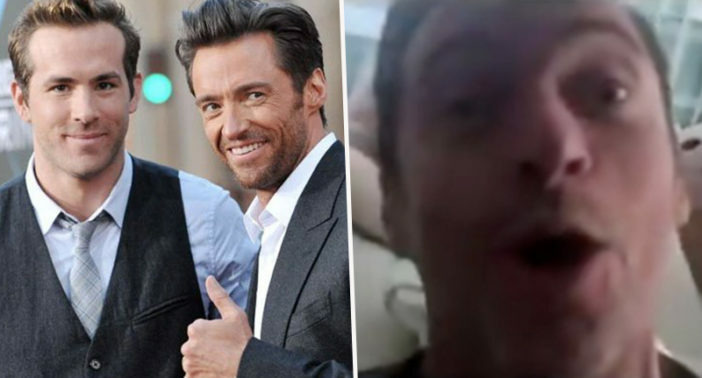 Yes, mere days after proclaiming an ‘official truce’ with Hugh Jackman, Ryan Reynolds has stirred up the pot again, giving a trademark salty response to Hugh’s Grammy success. Hugh’s film The Greatest Showman received a Grammy for Best Compilation Soundtrack for Visual Medium, an award Ryan’s Deadpool 2 had also been up for. Fans had been waiting for Ryan’s inevitably witty response, and were not disappointed by this silly yet clever wordplay. Somehow I just knew that you’d be making an appearance, you two are awesome. So much for a naked picture of Kim Kardashian’s arse popping champagne. You just broke the internet Mr Reynolds. Ryan has repeatedly made his intentions for a Deadpool/Wolverine crossover clear, however Hugh has been decidedly less than enthusiastic. He keeps coming back to me in all these ways, shapes and forms. I just said, ‘You know, I just don’t think the world really wants to see Deadpool with Wolverine’. Maybe a cameo from Deadpool? I just think it runs over it for Deadpool. This Grammy win marks a huge milestone for Hugh, and likely won’t be dampened by Ryan’s incessant banter. The Logan star is now three-quarters of the way to earning the much coveted EGOT. This is the rare quadruple prestige of winning each of the four major annual American entertainment awards (Emmy, Grammy, Oscar, and Tony). Will these two ever kiss and make up? Or should Ryan give up all hope of the hyper ‘Merc with a Mouth’ ever joining unlikely forces with the gruff, troubled Wolverine?